There are times when travelers need help navigating airports, especially large, complex ones like Hartsfield-Jackson International. 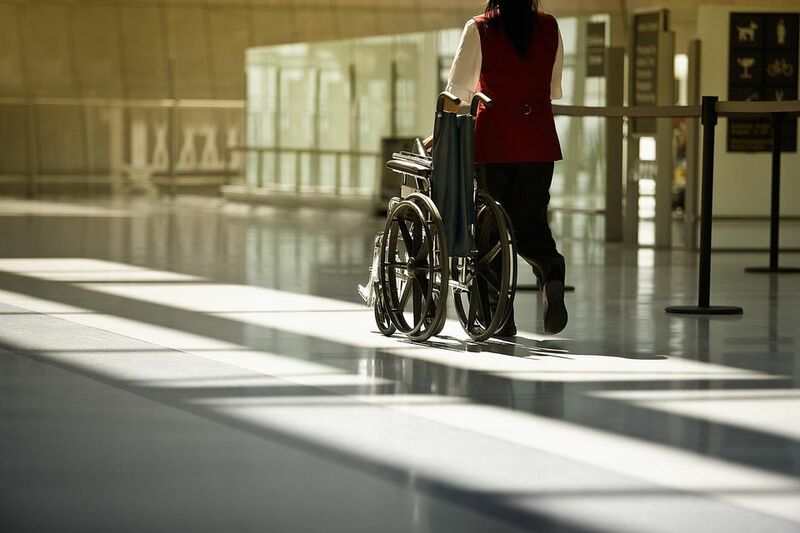 The 1986 Air Carrier Access Act requires airlines to provide free wheelchair service to any traveler who asks for it, without requiring a description or documentation for that need. If you have mobility issues, it can be daunting getting from the airport curb to the gate for your flight. Most airlines contract with companies to help travelers by offering wheelchairs to get around an airport, including through the security checkpoint. In larger airports, they also have electric carts available for those who can’t walk long distances, need a little extra help or need to get to a gate quickly to make a flight. Passengers who can walk onto a plane but need help getting from the terminal to the aircraft. Passengers who can’t navigate stairs, but can walk onboard a plane but needs a wheelchair to move between an aircraft and a terminal. Passengers with a disability of their lower limbs that can take care of themselves, but need help boarding and departing from a plane. Passengers that are completely immobile and need help from the time they get to the airport through to the time they need to board the aircraft. Most airlines ask that you make wheelchair or cart requests at least 48 hours in advance. If your airport has skycaps at the curb, you can also request a wheelchair from them to get you through security and to your gate. After checking in, you can make arrangements with a gate agent to have a wheelchair or cart available at your transfer point or final destination. Airlines also have special wheelchairs to help people board an aircraft. Travelers are advised to arrive at the airport at least two hours before their flight is scheduled to depart and be at the gate at least an hour before departure. Those with their own electric or battery-powered wheelchairs, carts, or scooters must have them checked in and be available to board your aircraft at least 45 minutes before departure. Those transporting non-electric or non-battery-powered wheelchairs, carts, or scooters must be checked in and you must be available to board at least 30 minutes before your flight departs. For more information on specific airline policies, see the links below.